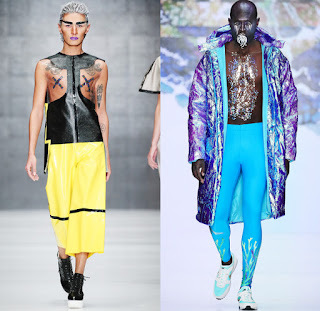 CONTRAFASHION is a Russian based design group that conducted their spring summer men’s and women’s catwalk looks at the Mercedes-Benz fashion week in Russia. If you ask me these looks are even too scary for Halloween. Just take a look at this super creepy feather fashion. This last picture doesn’t have any feathers but I just had to show it to you anyway. Here is a link if you would like to see some more of their designs.